The HOP! airline brand is used by the Air France subsidiaries Brit Air, Regional and Airlinair when they are operating regional flights. It was created in 2013 and now has more than 100 planes operating under its brand, most of which are smaller aircraft, with the biggest of them carrying 100 passengers. This mixed fleet of ATR, Bombardier and Embraer planes is based at two hubs, one at Paris Orly Airport and another at Lyon Saint Exupery Airport. Its headquarters are in the Paris suburb of Rungis. There are HOP! flights available to 50 different destinations. 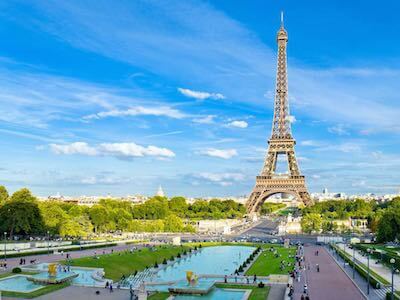 These destinations are spread throughout France and other European countries. Some of the most popular are Brussels, Nice, Stuttgart and Budapest in mainland Europe. The airline also flies to Edinburgh Airport and Aberdeen Airport in the United Kingdom. It is affiliated to the SkyTeam alliance through its parent airline, Air France. HOP! also operates some flights under the Air France brand. Passengers travelling on a HOP! flight can save time at the airport by checking in online. This service becomes available 30 hours before a flight is due to take off. It remains open right up until 2 hours ahead of a flight's departure. To check in online passengers will need to use their last name and booking confirmation code. They can also choose a seat during online check-in. It is also possible to check in at the airport by going to one of the airline's check-in counters. The latest passengers can check in at the airport is 20 minutes prior to departure, which increases to 30 minutes for flights departing from Amsterdam or Brussels. All passengers on a HOP! flight can bring one item of hand luggage onto the plane, provided it is lighter than 12 kg and smaller than 55 x 35 x 25 cm. Hand luggage must be able to fit under the plane's seats or into the overhead storage lockers. As space is limited in the cabin on some flights, passengers may be asked to check in their hand luggage when they reach the departure gate. They will not be charged for this. However, if a passenger is asked to check their hand luggage at the gate because it exceeds their allowance, they may be charged a fee. Depending on the fare type that they have purchased, passengers on HOP! flights will have varying amounts of checked luggage allowance. On the Basic and Promo fares, passengers do not have any checked luggage allowance included. On the Flex, Smart, Basic Plus fares, passengers can check in one item of luggage weighing up to 23 kg with maximum combined dimensions of 158 cm. Additional checked luggage can be added to a fare during booking. If passengers arrive at the airport with luggage that exceeds their allowance, either by the number of pieces, size or weight, they will face excess baggage fees for its carriage.